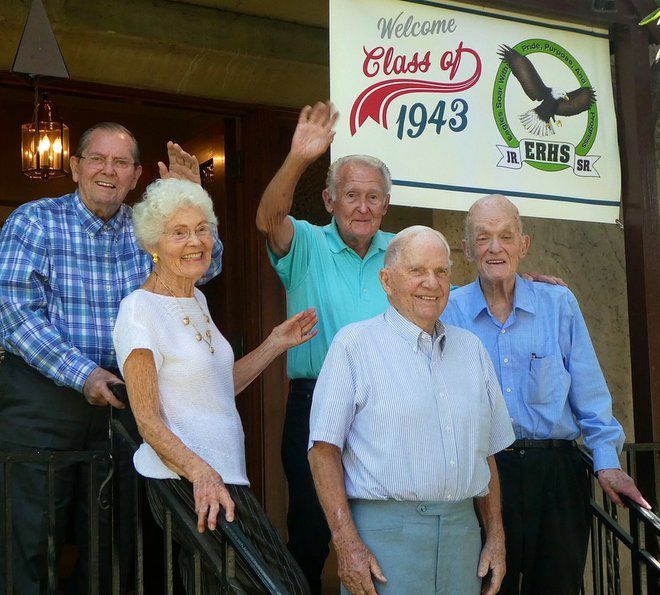 Eagle Rock — The reunions of Eagle Rock High School’s Winter Class of 1943 have become intimate affairs. At the beginning of this month, five of the surviving classmates — all of them 93 years old — along with their family members and caregivers, gathered to share memories, listen to chamber music and celebrate their 75th high school reunion. The highlight of the event was chamber music performed by Ralph Morrison, who now lives in the San Francisco Bay area, said Sandy Driscoll, who was a guest at the reunion. 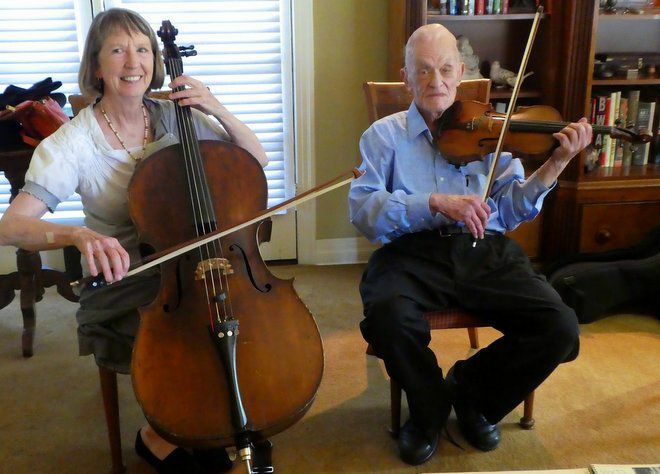 Ralph, a former engineer, played an 1850, French-made Vuillaume violin during his solo performances and a sonata with his 71-year-old wife Elizabeth (she did not attend ERHS). “All were just thrilled to be there, and I found them all to be inspirational as they are very active 93 year olds,” said Driscoll.